If you follow my Instagram account or my Facebook page, you might have seen an update that I posted recently, of my new SK-II skincare. 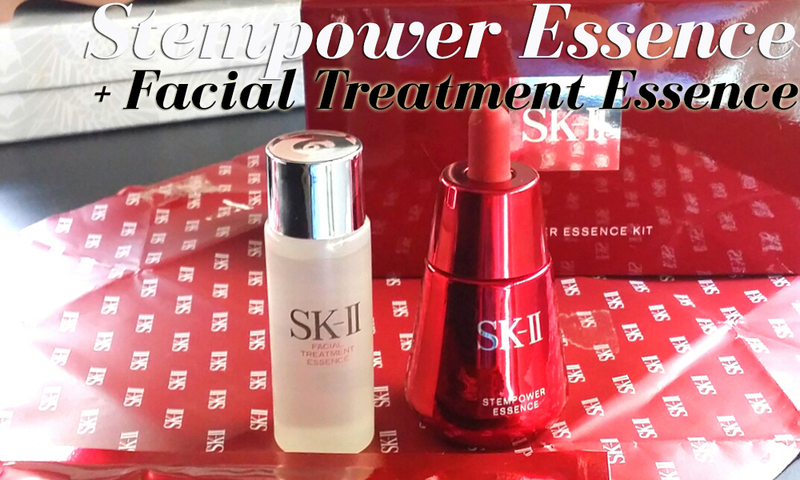 I was lucky enough to get my hands on two SK-II products to trial - the famed Pitera Essence and their (relatively) new Stempower Essence. Not many people are strangers to SK-II. The brand has been practically a household name for so long now, and can be seen at any cosmetic department worldwide. I'm sure you all know the story of the workers at the sake brewery and the beautiful skin on their hands, which led to the discovery of Pitera, the key ingredient and selling point of the SK-II brand. This brand is well known for its ability to give women luminous, glowing, youthful skin...and that's what I'm looking for! I will be using these products as part of my daily regimen, and dutifully reporting my results at the end of each month to you guys here on this blog. I will also be doing a series of videos, sharing with you some skincare tip that I'll be picking up on my trips to the SK-II beauty counter. 2. Fine lines around my eyes - I don't have an eye cream, which would be ideal, but I'm hoping that I will see improvement anyway! 3. Pores - the Stempower Essence is also aimed at reducing the appearance of pores, and I have annoyingly large pores around my nose, so it would be great if they could be less visible! 4. Clearer skin - I've always wanted glowing, luminous skin, and I know that this is the trademark feature of a faithful SK-II skincare user. I hope I see some luminosity at the end of these three months! I strive to be honest and forthcoming with my reviews, so I will be upfront about my likes and dislikes about this brand. I would never bash a product, but I will be honest about whether or not it is working for my skin, so if you've always wondered about SK-II products and whether you should start using them, stay tuned to this blog for updates. Edit: Read my first update after 6 weeks of using these skincare products, here.